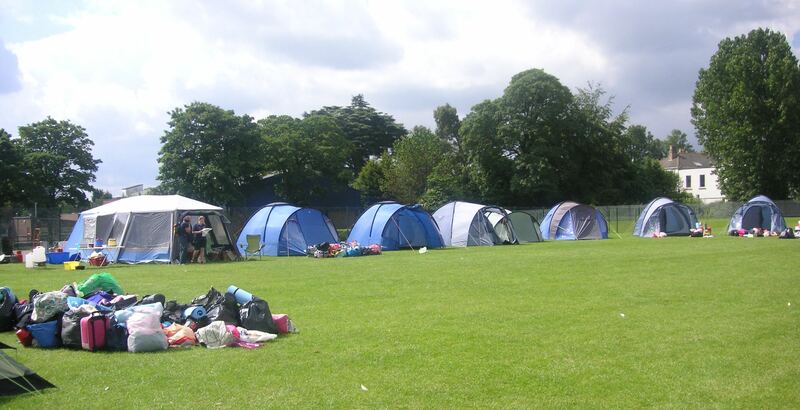 Over the weekend of 20th & 21st June, 2014 Brownies and their leaders from across the County of East Yorkshire joined together, camping inside and outside at Cottingham High School in celebration of their 100th birthday. The celebration kicked off with a mid-summer madness widegame and campfire. 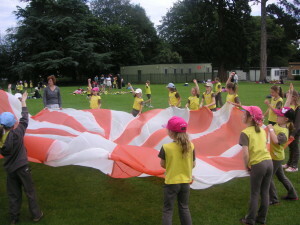 Brownies love nothing better than being creative and active and that is exactly what they did! from Morse Code friendship bracelets to team games. The organisers had designed the event so that Brownies could experience a wide range of activities, past and present covering the 100 years of their history, from ‘Early Years, ‘War Years’ and through to ‘Mothers and Grandmothers Years’. On Saturday, 1200 day visitors joined the campers and during the course of the day the girls had the opportunity to try both indoor and outdoor activities by moving from one ‘station’ to the next. 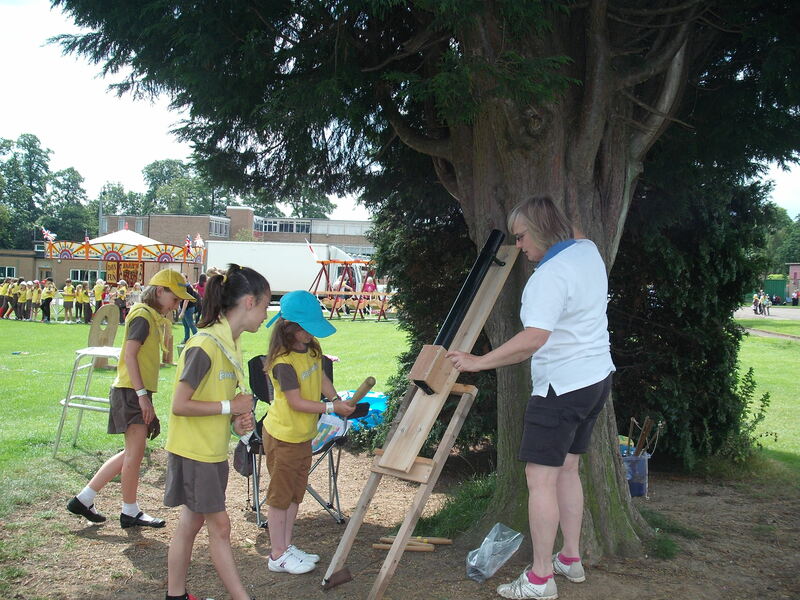 Old fashioned games such as draughts and snakes and ladders were given a modern twist along the lines of giant jenga, girls also experienced old favourite fairground rides, together with hook a duck, splat the rat, skipping and parachute games, to mention just a few. 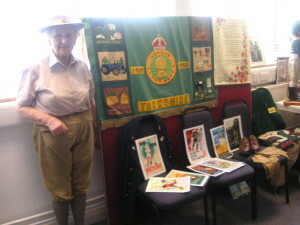 To compliment the different and inspiring activities, Dorothy Taylor from Bridlington Trefoil Guild, put on a marvellous display depicting her life when she was in the Land Army. The event concluded with a display by the Fusion Kite Display Team from the North East. 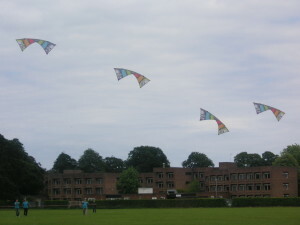 During the display the kites dropped the Brownies wishes for the future from the sky! 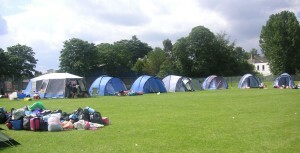 A total of 400 Brownies camped out Friday night and 350 different Brownies camped out on Saturday night. 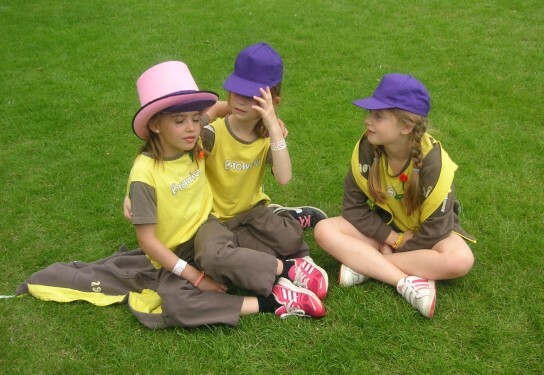 County Commissioner, Chris Ball remarked ‘What a wonderful experience the Brownies had. To see so many happy faces, all joined together having FUN, the time just flew by! This will certainly be a weekend to remember, when the Brownies turned 100’ East Yorkshire Guides President, Margaret Brennand and several other Guiding Vice Presidents attended the event, joining in with many of the activities. 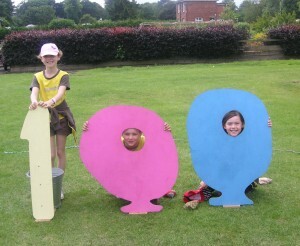 The special guests were the Brownies, after all it was their birthday! !